The Keyscan HID5365-Slimline Prox Reader offers off the shelf ordering of cards and readers. Proximity provides the highest level of convenience and ease-of-use available in access control technology, and is now the most utilized technology in new access control installations. 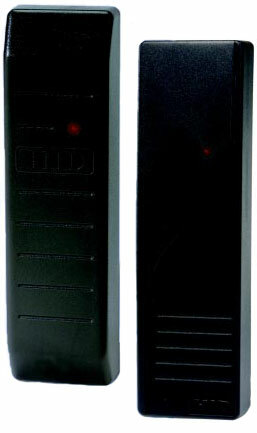 Proximity cards and key-fobs need only be placed within proximity of their readers to activate the system. The technology is cost-effective and it is unaffected by dirty environments, weather conditions or strong magnetic fields.